This season opening concert is a later start than usual for the Branford Folk Music Society because of the Rosh Hashanah holiday, but the wait, as they say, will be more than worth your while. Last Fair Deal's eclecticism is matched only by the band's virtuoso musical skills and unbounded creativity. 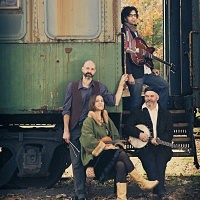 This renowned Connecticut band redraws the map of American roots music, tapping a deep reservoir of folk music, old time mountain music, swing, jug band, bluegrass, rock, and other roots styles, with additional blues, jazz and Celtic influences. They feature their own original songs as well as imprinting their own unique style on music from artists as diverse as Bill Monroe, Lennon & McCartney, Bob Dylan and Nat King Cole. Last Fair Deal features Paul Howard on vocals, guitar, and harmonica; Tom Hagymasi on vocals, fiddle, bouzouki and accordion, and Phil Zimmerman on vocals, mandolin, banjo and autoharp. Last Fair Deal's stellar musicians have shared the stage with the likes of John Hartford, Doc Watson, Jonathan Edwards, Aztec Two-Step, and Stephane Grappelli and have performed up and down the Northeast including such festivals as Musikfest in Bethlehem, Pa., Falcon Ridge in Hillsdale, N.Y., and the Connecticut Folk Festival in New Haven. They've recorded four albums, the latest entitled "True Tales" featuring 12 original and three re-grooved traditional tunes. It's been more than five years since their last appearance at Branford Folk, so join us on Sept. 21 and hear and see why Last Fair Deal through the years continuously earns praise, as the Farmington Valley Post aptly noted, for its "...instrumental prowess, impressive vocals... and a blend of genres bringing something truly unique to the acoustic roots scene." This concert offers a Branford Folk Music Society debut. We've been trying to book this trio for years and our schedules never coincided. This year the schedules are in sync and we're happy to present one of Scotland's most popular folk bands that incorporate great vocals and awe-inspiring three-part harmonies. They've been a band for 34 years and they're stronger than ever! Ronnie MacDonald, Grant Simpson and Dave Gilfillan comprise North Sea Gas and in concert they bring along guitars, mandolins, fiddles, bouzoukis, whistles, bodhrans, banjos and cracking senses of humor. North Sea Gas has received Gold and Silver disc awards from the Scottish Music Industry Association and regularly sells out shows at the prestigious Edinburgh Festival Fringe. They've recorded 15 albums that have garnered critical acclaim, including for their latest effort, "Tak a dram afore ye go." "The album is offered in the spirit of enjoyment, and in that it succeeds superbly" wrote Alasdair Maclean in The Scots Magazine. Their previous album "Rosslyn" received favorable reviews from folk magazines and newspapers such as Dirty Linen in the U.S., The Scots Magazine, and The Living Tradition. Their show, in the same way as their albums, consists of traditional, contemporary and self-penned material all put together in a style of their own. They regularly tour Scotland, America, Canada, Germany and Austria with TV and radio appearances both sides of the Atlantic. In 2008, they recorded for Chinese television with an estimated audience of 800 million! Here's another Branford Folk Music Society first appearance. Internationally acclaimed Toby Walker has been hailed as a roots music fingerstyle guitar virtuoso. He combines the styles of blues, ragtime, country, bluegrass, rock and old time jazz into his own unique style. Jorma Kaukonen of Hot Tuna and Jefferson Airplane says, "Flat out... you have to hear this great musician... I'm blown away" and has employed Walker to teach at his famous Fur Peace Ranch Guitar Camp for the past six years. In 2010 Toby won the New York Music Award for "Best Instrumental CD," sharing honors with Mariah Carey, Rufus Wainwright and Judy Collins among others. Toby has toured America, England, Wales, France, Germany, Belgium and Holland and he's been the subject of profiles in The New York Times, the London Sunday Times, on the London BBC and on Sirius-XM radio. Most significant, he's a first place recipient of the International Blues Challenge Award given by the Blues Foundation in Memphis, Tennessee. At a young age, Toby's passion for blues, rags, folk, and other traditional American music drove him to leave an apartment crammed full of recordings, books and instruments for the Mississippi Delta, Virginia and the Carolinas where he tracked down some of the more obscure – but immensely talented – music makers of an earlier era. He learned directly from Eugene Powell, James "Son" Thomas, Etta Baker and R.L Burnside, among others. He comes to Branford Folk just as his latest album is being released, "What You See Is What You Get". Renowned singer-songwriter David Massengill succinctly summed up Toby Walker: "[He] is that rare performer that takes your breath away. In my book he's in a class by himself. Standards and originals are played with flawless blues guitar technique and sung with gutsy panache. A showstopper and ringtail roarer." The December 14, 2013 concert was cancelled because of the weather. Connecticut-based Mestizo Manta is a group of Peruvian aficionado musicians joined to cultivate Andean music from Peru, Bolivia, Ecuador, Colombia and other neighboring countries of South America. The group was formed in 1994 and most of its founding members still play together. Using traditional native instruments as well as European guitars, the ensemble members continue to share their ancient melodies with the modern world. They enjoy performing almost anywhere they are invited because they love what they do – musica! Mestizo Manta interprets different styles of music and dance from each Andean nation. San Juanitos from Ecuador, huaynos from Peru, cumbias from Colombia, sikuris and tinkus from Bolivia as well as many other Latin American folk styles. Their melodies are performed on native instruments such as the quena (Indian flute), the zamponas (panpipes), bombo/tinya (drums), shacshas (seeds) and palo de lluvia (rain sticks). They also utilize the charango, a small guitar with five double strings born in the Andes, blended with European instruments such as the acoustic guitar, mandolin and violin. Performances are enhanced with explanations of Latin-American culture and traditions. It will be not only a night of soaring music, but also an edifying evening. In this 40th anniversary year of the Branford Folk Music Society, it is only fitting to bring back one of the most popular performers to ever appear at the society's coffeehouse. In fact, singer-songwriter Bill Staines provided major support in the formative years of the society as it sought to gain a permanent foothold as a venue and increase its audience size. Bill performed here for 18 consecutive years from 1974 to 1991. His last appearance at the society was in 2009 and we welcome him back this year. Now, well into his fifth decade as a folk performer, Bill has rightly gained an international reputation as a gifted songwriter and performer. Singing mostly his own songs, he has become one of the most popular and durable singers on the folk music scene today, performing nearly 200 concerts a year and driving over 65,000 miles annually. Bill, who hails from New Hampshire, weaves a magical blend of wit and gentle humor into his performances, and as one reviewer wrote, "He has a sense of timing to match the best stand-up comic." His music is a pure slice of Americana, reflecting with the same ease, his feelings about the prairie people of the Midwest or the adventurers of the Yukon. He may even do a yodeling tune or two, having won the National Yodeling Championship in 1975 at the Kerrville Folk Festival in Kerrville, Texas. He has recorded 26 albums and there are three published collections of his songwriting which remain in print. His songs have been recorded by scores of artists, including performers as diverse as Nanci Griffith, the Grand Ol' Opry's Grandpa Jones, Peter, Paul and Mary, the Clancy Brothers and Tommy Makem, and Mason Williams. Griffith says that Staines has been her hero since 1977. "He carries on where Woody left off – carrying on the tradition of stories and characters you wish you knew." Bill's radio and TV appearances have included Garrison Keillor's "A Prairie Home Companion" and "Mountain Stage" and a host of local programs on PBS and network TV. He continues to drive all those miles each year doing what he loves – bringing music to people. The late Sandy Paton of Folk-Legacy Records once characterized Bill's music so aptly: "Any new song that can live comfortably beside the well-worn songs of folk tradition has a good chance of surviving the test of time. Such, we believe, are the songs of Bill Staines." Circle the calendar. This is a concert not to be missed. Renowned French-Canadian chanteuse Josée Vachon and fiddler extraordinaire Donna Hébert continue the vibrant association of performing together that they forged more than 20 years ago when they founded the famed folk group Chanterelle. Born in Québec and raised in Maine, Josée has been sharing her Franco-American upbringing for over 25 years through traditional and contemporary folksongs from Québec and Acadia and through her own compositions. Likewise, Donna Hébert, a celebrated teacher and master fiddler, is steeped in Franco-American music. Society members will recall the vibrant concert she performed for us in December, 2011. Donna is the author of the contemporary classic "Fiddling Demystified", a book/CD/DVD set for violinists, violists and cellists that grew out of her fiddling classes and her method for teaching by ear and playing in multiple fiddle styles. Certified as a Creative Teaching Partner, she has trained seven fiddling apprentices under National Endowment for the Arts sponsorship in her native Franco-American style. She's an adjunct fiddle instructor at Amherst College, and in 2008 won a prestigious Massachusetts Fellowship in the Folk Arts. Josée Vachon began singing publicly with the support of the Franco-American Center at the University of Maine, where she discovered others who shared her rich heritage. After receiving her BA in Romance Languages in 1984, she continued to perform, quickly gaining recognition as a new Franco-American voice through early performances at state festivals in Maine and at schools and parish soirées. In 1999 she received the National Culture through the Arts Award from the New York State Association of Foreign Language Teachers, and was inducted into the French-Canadian Hall of Fame Class of 2007 for the American-French Genealogical Society. Serving as a Franco-American ambassadrice, she has presented her music at hundreds of venues throughout the world ranging from Constitution Hall in Washington, D.C.; to the Congrès Mondial du Conseil International d'Etudes Francophones in Martinique, to the Festival été indien in St-Etienne, France. Josée's vast international television appearances include "Bonjour!" on which she made over 500 tapings from March 1987 to April 1998 of what became the most widely seen French-language television show in the United States. Her music is included in "La Bolduc", a documentary made for Canada's History Channel; Microsoft's AutoMap Trip Planner software; and the Smithsonian Folkways CD, "Mademoiselle voulez-vous danser: Franco-American music from the New England Borderlands." Josée also has 12 solo recordings to her credit. Chanterelle bassist and accordionist Alan Bradbury and Max Cohen, Donna's guitar accompanist, will join the women for the concert. 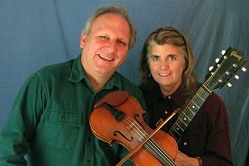 Branford Folk Music Society favorites Sparky and Rhonda Rucker from Tennessee will make a return visit to the coffeehouse on April 12, bringing their musical performances steeped in American history and tradition. For more than 40 years, Sparky and Rhonda Rucker have performed throughout the U.S. as well as overseas, singing songs and telling stories from the American folk tradition. 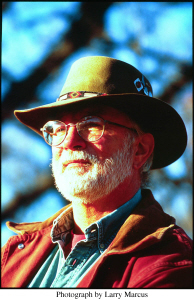 Sparky is internationally recognized as a leading American folklorist, musician, historian, storyteller, and children's author. He accompanies himself with fingerstyle picking and bottleneck blues guitar, banjo, and spoons. Rhonda, a medical doctor and also an author with a lengthy list of published articles and a recently released historical novel set in the Civil War, is an accomplished harmonica, piano, banjo, and bones player, and also adds vocal harmonies to their songs. Together they take their audience on an educational and emotional journey that ranges from poignant stories of slavery and war to an amusing rendition of a traditional tale or witty commentaries on current events. Their music includes a variety of old-time blues, slave songs, Appalachian ballads, spirituals, work songs, Civil War music, cowboy music, railroad songs, and their own original compositions. Their special passion for the American Civil War inspired the development of "The Blue and Gray in Black and White", a historical program that tells stories from the war in music and narrative. The couple has performed at the Kennedy Center in Washington D.C. and the Smithsonian Folklife Festival as well as on nationally syndicated radio shows such as "Prairie Home Companion", "Mountain Stage" and NPR's "Morning Edition". They've recorded numerous albums, and their 1991 release, Treasures and Tears, was nominated for the W.C. Handy Award for Best Traditional Recording. The duo contributed to the 2009 anthology tribute CD dedicated to the late Bruce "Utah" Phillips entitled Singing Through the Hard Times which was a finalist for a GRAMMY in the Best Traditional Folk category. THE BRANFORD FOLK MUSIC SOCIETY COFFEEHOUSE!!! Good Music No Matter How You Slice It! Experience the complete bluegrass esthetic! nonsense songs that don't hesitate to make joyful use of innuendo, euphemism, and puns! Tickets will be sold until seating capacity is reached. Be sure to reserve yours today! gets you all of the above and more! The society closes its 40th Anniversary season on a high note and style with the dynamic musical duo of Steve Gillette and Cindy Mangsen on May 10. Although the husband-and-wife team of Steve and Cindy carry separate reputations and musical histories, they are pure magic when they perform together. Cindy has been described as one of the finest pure ballad singers in folk music today, while Steve has been acknowledged for decades as one of America's finest songwriters. He's been crafting songs for more than 50 years. Since Ian and Sylvia first recorded his "Darcy Farrow" in 1965, Steve's songs have been covered by the likes of John Denver, Garth Brooks, Linda Ronstadt, Tammy Wynette, Waylon Jennings, Josh Ritter, and hundreds of others. "Darcy Farrow" alone has been recorded by more than 100 artists. In fact, John Denver recorded it three separate times on albums that sold millions of copies! Quite literally, Steve also wrote the book on songwriting: "Songwriting and the Creative Process" (Sing Out Press) is a standard text in songwriting classes across the country. But, he's also recognized as a superb fingerpicking guitarist whose skills have been compared to Doc Watson. Cindy is renowned not only for her voice but also for her songkeeping. She is a master interpreter of traditional ballads, rich in myth and legend, accompanying herself on guitar, banjo, concertina, or mountain dulcimer. She possesses a compelling voice, aptly described by one critic as a voice that "can warm a New England winter." The newest album from the Vermont duo, released earlier this year, is titled "Berrymania" and is a tribute to their madcap friends and talented musicians, Peter and Lou Berryman of Wisconsin. Alone, together and with others Steve and Cindy have recorded more than 15 albums. 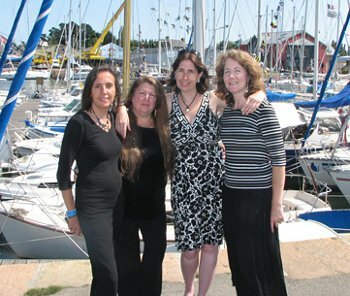 The Johnson Girls, an all-woman, mostly a cappella folk music group whose specialty is maritime music, will kick off the 2014-15 concert season of the Branford Folk Music Society this Saturday (Sept. 13) at 8 p.m. in the auditorium of the First Congregational Church of Branford, 1009 Main Street on the Branford Green. The Johnson Girls are a last-minute replacement for the Canadian trio Finest Kind. The trio was forced to cancel their Northeast tour Wednesday because of an illness to member Shelley Posen. The Johnson Girls, formed in 1997 at the close of the annual Sea Music Festival at Mystic Seaport, are unique in that they have burst through the barrier of a previously male-dominated musical genre. Each member of the group – Joy Bennett, Alison Kelley, Bonnie Milner and Deirdre Murtha – brings a specialty and style to the ensemble, including songs with Afro-Caribbean influence and songs of the inland waterways and fishing, along with Irish, Scottish, American, English, Italian and French ballads and work songs. The group's music is infused with vitality and gorgeous harmonies and encourages plenty of singing from the audience. The ensemble has performed at major festivals, clubs and coffeehouses across the United States, in Canada, England, Wales, the Netherlands, and Portugal, including the Mystic Seaport's prestigious annual Sea Music Festival. This will be their fourth appearance at the Branford Folk Music Society and they have just released their fourth album, "On Deck & Below", on Folk-Legacy Records in Sharon. Sea music, as perhaps the first "world music," captured the imagination of these women singers many years ago and several participate in other maritime music groups as well. Sailors were heavily influenced by the music they heard while traveling around the world. Ships were often melting pots with crewmembers who introduced their cultures to the rest of their shipmates, and who incorporated the different rhythms and styles into the work songs and other music aboard ship. The music of The Johnson Girls has been described as "exciting", "haunting", "uplifting", and "full of harmony" and their performances have been characterized as "hair-raising". One newspaper account of a Johnson Girls appearance at the Wadebridge Festival in Cornwall, United Kingdom, put it aptly: "The Johnson Girls, shanty singers from America, took the place by storm... Those who thought a shanty singer had to be male, bearded and with a beer gut, had better think again." October will also bring the return of Diane Taraz to the Branford Coffeehouse Stage. Diane previously performed a split bill for the society with Judy Cook and was part of another concert with the Gloucester Hornpipe & Clog Society. She is an artist who loves to write songs and loves to interpret traditional music. Variety is the spice of life, and Diane enjoys singing not just folk but blues, standards, the classic singer-songwriter repertoire, plus Renaissance music of the 1500s. Her latest album is a collection of jazz standards. Voice is her main instrument, although she delights in playing her three guitars and her mountain dulcimer. She's performed in hundreds of venues including coffeehouses, schools, concert halls, churches, libraries, museums, restaurants, historical societies, and private houses. She's director of the Lexington Historical Society Colonial Singers and is a member of Vox Lucens, a 12-voice Renaissance choir who are artists-in-residence at the Church of Our Saviour in Arlington, Mass. She also sings with the UUlations, an eight-woman a cappella group. Diane's songs draw much inspiration from traditional folk and many of her songs celebrate weird and wonderful events of the past. To wit: "The Sea-Serpent of Cape Ann" tells the story of that mythical New England beastie while "Les Filles du Roi" looks back at her great-great-great-great-great-great-great grandmother's leap into the unknown as one of the young women who sailed to New France in the 1600s to marry the settlers in Quebec. And one of her favorite creations is "Let's Go Canoeing on Lake Chargoggagoggmanchaugagoggchaubunagungamogg," which sings the praises of this actual body of water in central Massachusetts, also known (thank goodness) as Webster Lake. A severe snowstorm last December cancelled the Branford debut of the Virginia-based Honey Dewdrops but we worked quickly to make sure they graced our stage as part of our 40th Anniversary Celebration. There is a high lonesome quality to the way the voices of Laura Wortman and her spouse Kagey Parrish blend that is familiar, yet the mixture is unique. Their music covers the ground between hand-crafted folk songs, Appalachian fiddle tunes, and a cappella spirituals. The musical career of Laura and Kagey has been on an upward curve since they captured the "Prairie Home Companion" Talent Contest in 2008, besting five other groups in the finals of the national radio show competition hosted by Garrison Keillor. Up to that time, Kagey and Laura were teachers who performed music on the side but who desired to ultimately make music a full-time occupation. "Winning the contest really inspired us to keep on going and writing at the time," Kagey says. A year later, they recorded their first CD, let their teaching contracts expire and they hit the road performing. Since then they've crisscrossed America with their blend of new Americana and traditional folk music, building up loyal audiences along the way. They create inspired songs that are rooted in the experience and lives of people. The songs they write shine with energy and emotion through intimate performances with a handful of acoustic instruments and tightly layered harmonies. In fact, their song "One Kind Word" is covered by the San Francisco Bay area band Front Country on their brand new album, "Sake of Sound." On stage, the Honey Dewdrops focus on dynamically blending the sounds of instruments and voices by singing and playing into a single microphone. Today this duet is in the vanguard of a new generation of young performers bringing contemporary folk into the American mainstream. The Honey Dewdrops have recorded three albums and are now gathering material for a fourth. 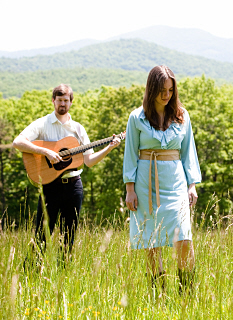 Their latest offering, "Silver Lining", ranked fourth in 2012 in folk music radio play monitored by FolkDJ. It's no wonder that Bluegrass Unlimited Magazine said this about the duo: "Their talent is such that it's quite possible that a new band recording in the year 2020 might cite The Honey Dewdrops as a prime influence." Join us on Dec. 13 for a special Hanukkah concert and dance party with internationally renowned klezmer musician and composer Pete Rushefsky and his Ternovka Ensemble. In addition, Branford Folk's own renowned dance leader (and president) Willa Horowitz will teach dance steps at the end of the concert, turning the event into a rollicking party. 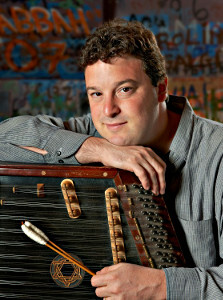 Pete Rushefsky is recognized as a leading performer of the tsimbl (cimbalom), the traditional hammered dulcimer of klezmer music. Rushefsky and bandmates will provide a musical tour of the shtetls and cities of Eastern Europe that formed klezmer's wellspring and trace its evolution to the New World. A resident of New York City, Rushefsky is currently touring with violinist Itzhak Perlman in a program/recording titled "Eternal Echoes: Songs and Dances for the Soul", featuring the leading cantor Yitzchak Meir Helfgot, as well as klezmer revival legends Hankus Netsky and the Klezmer Conservatory Band. He serves as executive director of the Center for Traditional Music and Dance in New York City, a not-for-profit organization dedicated to preserving and nurturing the performing arts traditions of the city's immigrant communities. He has been featured on PBS's Great Performances, National Public Radio's Prairie Home Companion, All Things Considered and American Routes, as well as Radio One France. A popular instructor at Yiddish folk arts camps internationally, Rushefsky authored a pioneering instructional book on adapting the American 5-string banjo for klezmer, and an upcoming book on klezmer performance for hammered dulcimer. He is a well-known lecturer on klezmer and other traditional music with a number of published articles to his credit. He regularly concertizes and records with many of the leading contemporary performers of Yiddish music, including clarinetist Joel Rubin, violinists Steven Greenman, Lisa Gutkin, Jake Shulman-Ment and Alicia Svigals, flutist Adrianne Greenbaum and vocalists Michael Alpert, Ethel Raim and Rebecca Kaplan. 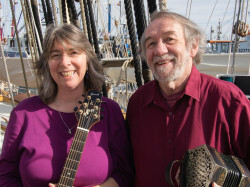 Multi-instrumentalists Karen Ashbrook and Paul Oorts will be making their Branford Folk Music Society debut with this concert after being "snowed out" of a scheduled debut last February. For Branford listeners it will be a musically warming treat in the midst of winter because both are master musicians. 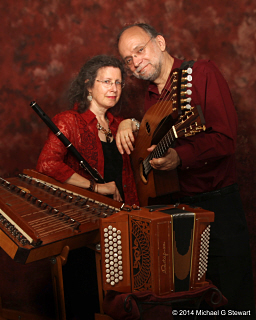 Karen performs mainly on the hammered dulcimer and her husband Paul on harp guitar, 10-string cittern, mandolin, and musette accordion. Known as KA/PO, Karen and Paul started playing as a duo featuring Celtic, Belgian and French music with the critically-acclaimed recording "Celtic Café" on the Maggie's Music label. Karen Ashbrook built her first dulcimer in 1976 as a high school project. For five years she lived overseas in pursuit of Irish music and learned her craft in the pubs of England and Ireland, while taking time to travel in Europe and Asia. She subsequently wrote the first book for intermediate/advanced dulcimer playing in the United States, "Playing the Hammered Dulcimer in the Irish Tradition," which was published by Oak Publications. 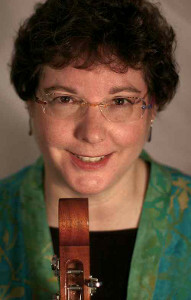 Karen plays a wide variety of musical styles including Appalachian, Belgian, English, classical and Jewish. She teaches at numerous festivals and music camps around America, and is now central in bringing instruction to the revival of hakkebord (the Flemish hammered dulcimer) in Belgium! With her delicate touch, trademark shimmering lilt and ear for authentic ornamentation, Karen is considered one of the finest Irish hammered dulcimer players. Add her wooden flute and pennywhistle playing, and you have the consummate Irish musician. Irish music reviewer John O'Regan calls her recordings "Celtic music for the mind and body." Based in the Washington, D.C., area, Karen teaches and performs Celtic, contra dance, and Jewish music and works teaching Irish music and culture to children. She has several recordings both solo and with the group Ceoltoiri, on the Maggie's Music label. Performance highlights include RTE 1-Irish National Television, the Smithsonian Institution, National Geographic, and playing at the White House for President Bill Clinton. Belgian-born Paul Oorts is also a multi-instrumentalist and is very active in the world of English, Contra, and Vintage dances in the Washington-Baltimore area. With the group Goldcrest he has performed at dance events all over the United States and on tour in Scotland. He also plays with Trio con Brio, Tympanon, Ensemble Carillon and the Rigatoni Brothers. As a teacher or staff musician, he has been on faculty at the Augusta Heritage Center (WV), the Swannanoa Gathering (NC), Common Ground on the Hill (MD), Kentucky Music Week, Pinewoods (MA), Timber Ridge (WV), Hill County Acoustic Music Camp (TX), and the Volksmuziekstage in Gooik (Belgium). During the academic year, Dr. Oorts teaches Italian and French at the Peabody Institute and Loyola University in Baltimore. This will be a night of high musical energy. The Branford Folk Music Society is proud to present a rare joint appearance by two master musicians – acclaimed guitarist Beppe Gambetta and Grammy Award-nominated cellist Rushad Eggleston. The duo will present a program called "The Old and The New World", a musical odyssey of folk songs from Beppe's native Italy to American roots music, as well as new instrumental compositions composed for cello and guitar. The program promises plenty of virtuoso musical ability, a lot of humor and a dash of whimsy. For this special concert, admission is $20 for non-members, $15 for members and $5 for children 12 and under. Beppe and Rushad first performed together in Italy last year and so enjoyed the result that they decided to offer a few select concerts in the U.S. this month. Their Branford Folk appearance is their only New England concert during this brief tour. 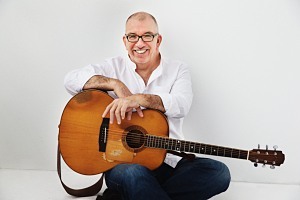 This will be Beppe's third appearance at Branford Folk, where he's performed to SRO audiences while showcasing his inimitable and award-winning guitar stylings. Hailing from Genoa, Italy, Beppe is respected on both sides of the Atlantic Ocean as one of today's most distinctive and accomplished acoustic guitarists. 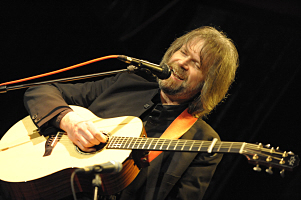 He possesses a broad stylistic range that mixes flatpicking and fingerstyle guitar in a variety of unusual and unique tunings. He's also a fine, understated vocalist who sings in Italian and English. Likewise, Rushad is a wackily inventive cellist and composer who electrifies audiences wherever he displays his virtuosic technique, infectious showmanship and musical passion. Grounded in classical music but highly influenced by rock, bluegrass, hip-hop and a myriad of other alternative styles, he has taken his chosen instrument to new levels of creativity and accomplishment. With the horizon's line as a challenge and attraction, Beppe is continually composing his personal mosaic of sounds and flavours. From his unique background as an Italian musician in love with both American roots music as well as the music of his native country, Beppe has travelled the world and even crossed the former "Iron Curtain" to dazzle and charm music enthusiasts everywhere. After 11 CDs, DVDs, teaching books and collaborations with many other top-flight musicians, Beppe is increasingly known as one of the true live master innovators of the acoustic guitar. For his part, Rushad stands in the vanguard of the younger generation of virtuosic cellists who are bringing this relatively unwieldy instrument into the folk and acoustic music spotlight. It's anyone's guess what may happen when Rushad takes the stage, but we do guarantee one thing: a night of fabulously inventive, supremely accomplished, endlessly surprising music. Rushad never fails to knock his listeners' socks off as he ushers them in a joyful, eccentric alternate reality. He challenges the fundamental ideas about musical genres, rules, and boundaries – not to mention appropriate footwear. Renowned folksinger Gordon Bok, characterized by Time magazine as the "poet laureate of those who go down to the sea," returns to Branford Folk in April during a swing through the Northeast as Gordon winds up his touring career this spring. He says that while there will still be the occasional concert, he has decided it's time to retire from official performance tours. Admission to what can be described as a truly bittersweet event for us all is $20 for the general public, $15 for members, and $5 for children age 12 and under. Gordon hails from Camden, Maine, and has been preserving the musical traditions of the sea for five decades as a performer. His music is largely self-taught and a Bok trademark remains his rich, resonant, mahogany bass-baritone voice. He accompanies himself on 6- and 12-string guitars as well as the "cellamba" – a cross between a cello and a bass viol de gamba – which he designed. His repertoire consists of a rich trove of well-crafted ballads of Maine and the Maritimes, songs and dances from abroad, contemporary songs, stories of boats and sailors and tales of supernatural seal-folk. He is also renowned as a superb storyteller. Gordon has recorded over two dozen albums, both solo and with other musicians, and is part of the fabled folk trio of Bok, Muir and Trickett. 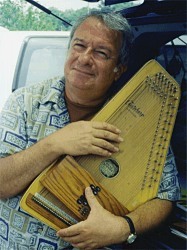 His solo and trio albums appear on Folk-Legacy Records of Sharon and his own Timberhead label. He has appeared in concert with artists as diverse as the Paul Winter Consort and the Indianapolis Symphony Orchestra and he has been a guest on Garrison Keillor's "A Prairie Home Companion" public radio show. 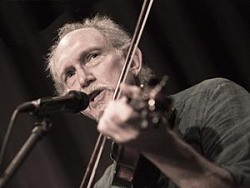 Gordon is a longtime favorite with the 41-year-old Branford Folk Music Society audiences, with his appearances at the society dating back to the early 1970s. In the words of one music critic, "If the sea had a voice with which to sing, it would be the voice of Gordon Bok." It has been simply too long – would you believe nearly seven years! 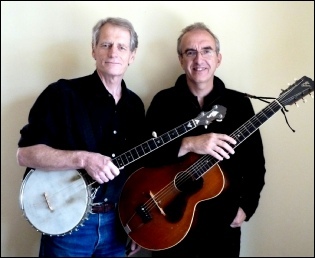 – since the Branford Folk Music Society presented John Roberts and Tony Barrand, the duo that has been widely acclaimed for nearly five decades as among the primary exponents living in the United States of traditional English folksong. For those who might not be familiar with this duo (and we believe that's a very few), they are known for their lively, humorous and entertaining presentations and exquisite unaccompanied two-part harmony singing. John and Tony perform the ballads and songs of the sea, of rural pursuits, of social and sociable situations and of industrial toil and strife. They typically arrange their material thematically to emphasize the stories, history and folklore behind the songs. 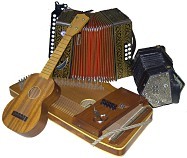 They draw at times upon a variety of instrumentation to accompany their singing, including Anglo and English concertinas, guitar, banjo and percussion. John and Tony, both English born and raised, have been singing together since 1969, when serendipity brought them together as graduate students in psychology at Cornell University. In their many years together as a professional team, they've recorded with a number of companies including Swallowtail Records, Front Hall, Folk-Legacy Records, National Geographic, and most recently, Golden Hind Music. These recordings include a critically-acclaimed album of authentic sea shanties, an album of drinking songs recorded live in a Chicago tavern, "An Evening at the English Music Hall", and a host of albums of songs from their celebrated Christmas pageant, Nowell Sing We Clear. They have also recorded a selection of the songs that the composer Percy Grainger collected in Lincolnshire during the early years of last century and a collection of songs by Rudyard Kipling. Their latest duo recording is "Twiddlum Twaddlum", a live performance CD that celebrated their 35th anniversary as performers. John has released a solo album of sea music called "Sea Fever" on Golden Hind Records and Tony recently collaborated with Keith Murphy on the album entitled "On the Banks of the Coldbrook: Atwood Family Songs", a collection of songs written by Dover, Vermont resident James K. Atwood. 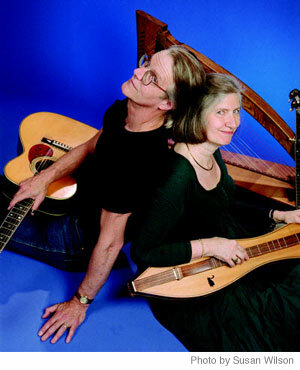 It is with great excitement and anticipation that the Branford Folk Music Society kicks off its 2015-16 concert series with Jay Ungar and Molly Mason, a duo that exemplifies the heart and soul of American folk and acoustic music. 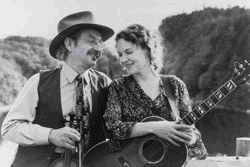 Jay and Molly achieved international fame when their performance of Jay's composition "Ashokan Farewell" became the musical hallmark of Ken Burns' acclaimed PBS documentary The Civil War. Their work on the series' soundtrack won a Grammy and "Ashokan Farewell" was nominated for an Emmy. The evocative and haunting lament, originally inspired by the couple's Ashokan Fiddle and Dance Camps in New York's Catskill Mountains, has been heard by tens of millions of people and is now considered an American folk "classic", played by folk fiddlers as well as classical musicians around the world. However, Jay and Molly take their music far beyond soundtracks for documentaries. The couple draws on a wide range of musical styles and traditions, including Appalachian, bluegrass, Cajun, Canadian, Celtic, Scandinavian and jazz. In recent years, they've also stretched their music to a new orchestral fusion of classical and folk music. Their musical resume is lengthy. In addition to a steady flow of albums and their continuing work on documentaries and films, they are frequent guests on Garrison Keillor's "A Prairie Home Companion", NPR's "All Things Considered", PBS's "Great Performances" and the BBC's "Transatlantic Sessions." They've produced several musical specials for Public Radio International and have performed at the White House for two sitting presidents. 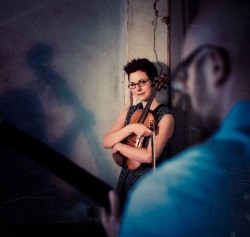 Mixing consummate musicianship, incomparable warmth and wit and a deep respect for and knowledge of the music they play, Jay and Molly offer audiences an evening of music not easily forgotten and a concert experience that appeals to all ages. Join us for this special night as Branford Folk begins its 42nd season of music making. England's Brian Peters and America's Jeff Davis have both graced the stage of the Branford Folk Music Society coffeehouse in the past and now they return together for Sharp's Appalachian Harvest, a special multimedia show devoted to the astounding collection of folk songs and music gathered by Cecil Sharp and his collaborator Maud Karpeles in the Southern Appalachians over three summers in 1916, 1917 and 1918. The two English folklorists ventured into the heart of the mountains to seek out old British ballads still being sung in remote mountain settlements, and their haul of over 1,600 pieces is one of the greatest folk song collections ever made. 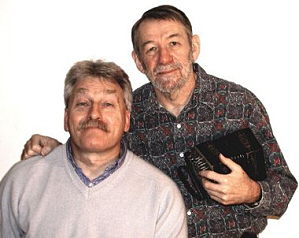 In their presentation, Jeff and Brian, two respected performers and researchers of traditional folk song and music, sing and play some of the musical highlights of Sharp's Harvest, accompanied by readings from his diaries describing vividly the hardships and triumphs of song collecting, and a display of his terrific photographs of the singers and of mountain life. The music chosen ranges from old ballads to American breakdowns, dance tunes, children's songs and gospel. Brian and Jeff have been performing together on both sides of the Atlantic on and off for 16 years. Although Brian's music is essentially English folk, while Jeff's is often categorized as American old-time, the two share a love for old songs in general, and the folk music of one another's countries, so that they work together intuitively as a duo. To Brian's multi-instrumental skills on concertina, melodeon and guitar are added Jeff's mighty talents on fiddle, banjo, mandocello and guitar, while their voices blend beautifully in harmony. Brian and Jeff have performed together at venues such as the venerable Old Songs Festival in New York State, the Mystic Seaport Festival, the Champlain Valley Festival, the Lunenburg Folk Festival in Nova Scotia, the Cecil Sharp House in London and the Bromyard, Derby, Fylde, Warwick and Whitby Folk Festivals in the U.K. They presented Sharp's Appalachian Harvest in July at the American Folklife Center in Washington, D.C. and during a tour of United Kingdom venues in May. 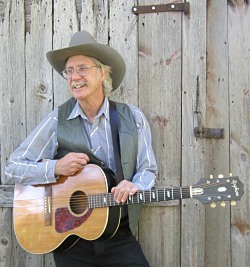 As a solo performer, Jeff Davis possesses a towering reputation for performing traditional songs and music with a rare touch of authenticity. Jeff's admirers range from England's Copper Family to Tim O'Brien of American bluegrass fame. He also has a following amongst the British old-time music community. Likewise, Brian Peters is one of the world's leading solo performers of English songs and music. He is well-known for seeking out unusual traditional repertoire. His presentation on the Child Ballads, "Songs of Trial and Triumph" has been critically acclaimed. 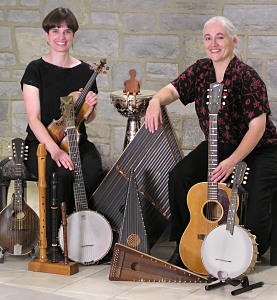 Two women plus twelve instruments equals one good time when Simple Gifts takes the stage. Drawing on an impressive variety of ethnic folk styles, this award-winning duo plays everything from lively Irish jigs and down-home American reels to hard-driving Klezmer frailachs and haunting Gypsy melodies, spicing the mix with the distinctive rhythms of Balkan dance music, the lush sounds of Scandinavian twin fiddling, and original compositions written in a traditional style. Combining tradition with innovation, Simple Gifts creates some of the finest arrangements in folk music today: swing fiddle creeps into a Romanian dance, spoons show up in an Irish reel, and a blues lick introduces a Klezmer melody. Based in the hills of central Pennsylvania, these women play an amazing array of instruments. Linda Littleton and Karen Hirshon switch with ease among fiddle, mandolin, banjo, guitar, guitjo, recorders, bowed psaltery, hammered dulcimer, baritone fiddle, guitar, and percussion. Simple Gifts is frequently complimented on their stage presence, which is warm, personal, and accented with humor. These women deliver their music with rare intensity and contagious enthusiasm. It's obvious that Simple Gifts loves the music they play and knows how to share their excitement with the audience. This is an act not to be missed! Are you ready for a night of dynamic fiddling and melodious singing from New Englander Lissa Schneckenburger, accompanied by the inventive stylings of guitarist Bethany Waickman? It will be a holiday treat. A snowstorm cancelled this duo's Branford Folk Music Society debut last February, but we're thrilled that Lissa and Bethany were able to work with us to secure this December appearance. The traditional music of New England can be as warm and comforting as a winter fire or as potent and exhilarating as a summer thunderstorm. Lissa is a master of both moods, a winsome, sweet-voiced singer who brings new life to old ballads and a skillful fiddler who captures the driving rhythm and carefree joy of dance tunes old and new. Raised in a small town in Maine, Lissa grew up with music. She began playing fiddle at the age of six, inspired by her mother's interest in folk music and a family friend who was a professional violinist. Soon she was studying with influential Maine fiddler Greg Boardman and sitting in with the Maine Country Dance Orchestra. By the time she reached high school she was playing concerts on her own, specializing in the sprightly New England dance tunes that combine influences from the British Isles and Quebec with homegrown twists that have been evolving since Colonial days. Another of her major influences was the diverse musical community that she found at fiddle camps, where she had a chance to play with and learn from a wide variety of musicians including noted Scottish fiddler Alasdair Fraser. 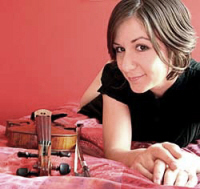 She graduated in 2001 from the New England Conservatory of Music with a degree in contemporary improvisation, and since then has been performing around the U.S. and internationally for a growing audience of enthusiastic listeners. Early in her professional career, Lissa began closely studying the roots of the Downeast traditional music that she first heard as a young girl. The study resulted in a pair of albums dedicated to reintroducing some wonderful but largely forgotten songs and tunes from New England that she uncovered through archival research. "Song" contains ten timeless ballads that go back as far as the 18th century that she set to carefully crafted modern arrangements, while "Dance" features fiddle tunes. Lissa has also performed with several ensembles, including Childsplay and Halali. For this concert, Lissa will be joined by longtime accompanist guitarist Bethany Waickman, who is well known in contradance, square dance and Irish music circles. Bethany, who is Maine-based, also plays with the groups Firefly and Anadama. What an exciting way to open the New Year! Fiesta del Norte is an exciting and versatile Connecticut-based Mariachi band that performs traditional Mexican folk and popular music on authentic instruments. The ensemble dresses in customary charro outfits and weaves together songs, translations, storytelling, joyful gritos and cultural insights. Their repertoire spans from the mariachis of Jalisco, nortenas of Chihuahua, the harp music of Vera Cruz and the marimba music of Chiapas. Fiesta del Norte takes their music and cultural message across the state at festivals, schools, libraries, town greens, and senior facilities and it's a true pleasure for the Branford Folk Music Society to present them in concert. The group is led by Dave Giardina, an award recipient of the Connecticut Commission on Culture and Tourism. He received his B.A. degree from St. Anselm College and also studied at Longy School of Music. Although his musical roots extend to the 1960s folk-rock culture, Dave studied classical guitar with Sharon Isbin and Philip Defremery, jazz with Sal Salvador and Bob Kobus and flamenco with Mario Escudero and Paco Pena (Spain). He also played in master classes for John Williams, Manuel Barrueco, Ben Verdery, Abel Carlevaro, and Oscar Ghiglia. He has been teaching for many years on the faculties of Trinity and St. Joseph colleges and Manchester Community College, as well as privately. His compositions are featured on two releases by the CT Classical Guitar Society, of which he is a founding member. His latest release, Fiesta Grande, features music of Mexico. The dynamic musical duo known as Notorious returns to Branford Folk after a seven year absence to present a thrilling musical experience in genres that span many continents. Master musicians Eden MacAdam-Somer and Larry Unger comprise Notorious and they are renowned for bringing together traditional and contemporary acoustic music sure to get the audience on their feet and dancing. 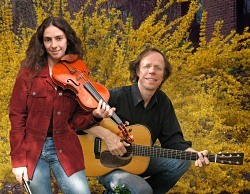 With Eden on fiddle and vocals and Larry on guitar and banjo, their music is full of rhythmic drive and melodic candor. Music critics have employed terms such as "sparkling" and "exhilarating" to describe their performances which present a panoply of music from traditional American and Celtic fiddle tunes to jazz, blues, klezmer and Gypsy as well as the duo's vast repertoire of original compositions. Eden is one of the most exciting and versatile young musicians performing and teaching today. Her music transcends genre through soaring violin and fiddling, vocals, and percussive dance. She has been a featured soloist with symphony and chamber orchestras, jazz and swing bands, and Eastern European and American folk ensembles. As an educator and composer/improviser, Eden has been a guest artist at such institutions as the Afghanistan National Institute of Music and the Dundalk Institute of Technology, and a featured performer at the Eastborne and Beijing International Music Festivals. She maintains a full-time studio at the New England Conservatory of Music in Boston, where she joined the faculty of the Contemporary Improvisation Department in 2012. Larry has been a full time musician since 1984 and has presented a diverse range of musical performances at dances, festivals, and concerts across the United States, Canada, France, Scotland, Denmark, and Sweden. He's one of the busiest musicians around, playing for more than 150 dances every year. He has played with many top contra dance bands, including Reckless Abandon, Uncle Gizmo, Big Table, and the Reckless Ramblers, and has accompanied such fiddlers as Judy Hyman, Alasdair Fraser, Elke Baker, Rodney Miller, Matt Glaser, Ralph Blizard, and Vermont's Lissa Schneckenburger who made her debut at Branford Folk in December. His solo concerts include a wide variety of music, including fingerstyle blues and slide guitar, rags, and old time banjo tunes as well as melodies played on a handful of unusual instruments including banjo-guitar, fretless banjo, and piano-harp. Larry's original waltzes and fiddle tunes have been played and recorded by musicians around the world. He has a great breadth of understanding of traditional music to complement his considerable technical proficiency and enjoys telling stories about the origins of his music and the people who taught him. He's written more than 600 fiddle tunes and waltzes, many of which have been recorded by one of his bands or by other bands. His tunes are widely played at contra dances everywhere. He has published two books of original tunes. John Kirk and Trish Miller present fiery fiddle tunes, folksongs and fancy footwork in concert so bring your dancing shoes to this concert which will mark the Branford Folk Music Society debut of this married couple. Determined, as they aptly put it, "to changing the world one tune at a time," they've been performing together since 1988 and have toured throughout the world, from the Grand Canyon to Barbados, from New York City's Carnegie Hall to the Academy of Culture in St. Petersburg, Russia, playing music and singing in concerts, festivals, and schools, and calling contra and square dances. Much of their music is rooted in the local lore of the Northeast woodlands. They have a love of traditional tunes and witty songs. John's lyric voice, good sense of humor and versatile instrumental skills (fiddle, mandolin, guitar, banjo, keyboard and ukulele) have earned him widespread recognition in folk and traditional music circles, while Trish is especially known for her clogging and guitar and banjo work. Both call square dances and have taught folk music and dance programs. In 2011, the U.S. State Department selected John and Trish (along with Sara Milonovich and Greg Anderson as Mountain Quickstep) to be touring music ambassadors in Eastern Europe and Turkey. Both John and Trish teach at Skidmore College in Saratoga Springs, N.Y., and John has been on the music faculty at Bennington College in Vermont since 1998. Working as a teaching artist in public school music and dance residences has been an important part of John's career. Branford Folk audiences will surely remember him for the 2012 zany and fun-packed concert at the coffeehouse when he was accompanist for balladeer Chris Koldeway. In addition to his group, Quickstep, John continues touring with the Susquehanna String Band. He is on staff at several music camps and has theatrical experience as a composer, musician and actor. The Dixie Chicks recorded his song, "Long Roads" and John has worked for many years in recording studios as a musician and producer. He has been known do some fancy quicksteppin'. 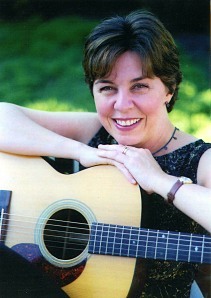 Trish plays guitar, banjo, dances and sings traditional and original music. She teaches banjo at Skidmore and is also a dance caller and country dance choreographer. She has a diverse repertoire of circle, square, contra and mixer dances. As a member of the Green Grass Cloggers, from Asheville, N.C., Trish learned ensemble footwork and toured extensively. Her rhythmic stepping style is rooted in the Southern mountains with a mix of traditional clogging and more modern percussive steps. New Haven's own Grammy Award-winning musician Stacy Phillips returns to Branford Folk for this first concert of spring and it is bound to be a memorable one. Stacy has assembled a select group of bluegrass pickers for this night of "folk music in overdrive" including members of his regular "Bluegrass Characters" band as well as legendary bluegrass and klezmer fiddler Kenny Kosek and banjo master Marty Cutler. Stacy, a New Haven fixture who's graced the Branford Folk stage many times throughout the society's 42 years, is an internationally renowned fiddler and Dobro player who in 1995 won a Grammy and an International Bluegrass Music Association Award for his featured work on "The Great Dobro Sessions" album. 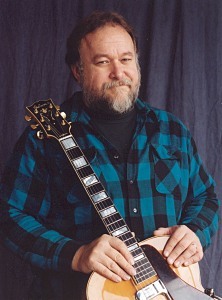 Stacy is the author of more than 25 books and DVDs on resonator guitars and fiddling, with several of his works considered standard classic texts in their fields. In addition, he's recorded three solo CDs and has released an album, "Neo-Urban Traditions" with longtime musical partner Paul Howard that ranges from Brazilian and Hawaiian to klezmer and swing styles. It's indicative of his wide-ranging and inventive musicianship that has earned him accolades throughout the world. Kenny Kosek and Marty Cutler will augment Stacy's regular group of "Bluegrass Characters" that includes Phil Zimmerman on mandolin and banjo; Andy Bromage on guitar, and Pete Kelly on bass. Together for four years, the band hosts a monthly bluegrass jam at the Outer Space in Hamden. As Stacy puts it, "We accent the traditional part of the bluegrass spectrum, adding traditional pieces to the repertoire." Like Stacy, Kenny Kosek has enjoyed a lengthy professional career not only as a multi-talented musician but also as a musical educator. He's recorded as an accompanist on hundreds of albums, soundtracks and television and radio commercials and appeared with artists as diverse as Jerry Garcia, James Taylor, Boy George, Leonard Cohen and Paul Schafer's Late Night Band on the former Late Night with David Letterman Show. 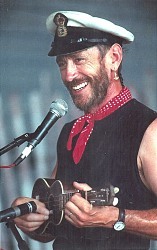 Kenny's distinctive roots-music-inspired sound has been part of the soundtracks of many cinematic and television documentaries. In addition to performing music, Kenny has appeared in many dramatic productions both on and off Broadway and as a humorist has written for the National Lampoon and radio humor shows. He and Stacy co-authored Bluegrass Fiddle Styles, sometimes called the "yellow Bible" of bluegrass. He is also part of Margot Leverett's fusion quintet The Klezmer Mountains Boys, who have appeared twice at Branford Folk. Marty Cutler is renowned as an innovator of bluegrass banjo and is also known for his work in midi production and synthesizer programming. He is a teacher and sound designer and has worked with Kenny in New York's Wretched Refuse String Band and the duo Chef of the Pasture. He has also appeared as a back-up musician on a host of albums in addition to his own solo albums. The Branford Folk Music Society concert season will close on May 14, 2016 with David Littlefield, a Mystic Seaport chanteyman and a member of the highly-regarded sea music quartet, Forebitter. Littlefield is a lifelong resident of the Old Lyme area. He has performed traditional and contemporary maritime music in Canada, England, Wales and all across the U.S. David credits Cliff Haslam as being a major influence on his music. David is a mandolin and guitar wizard, an outstanding songwriter of the Northeast coast, and a fine interpreter of the songs of the late Canadian singer-songwriter Stan Rogers. David began writing songs in the late 70's. The songs he writes address the concerns and attitudes of those who live and work on and around the sea, ballads with stories and tunes that stay with you long after the song has ended. These songs have gained critical acclaim among those who follow maritime music. Bring your voice because there no doubt will be plenty of choruses to be sung during this night's performance! 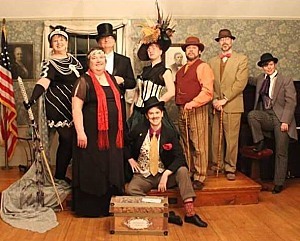 The society starts its 2016-2017 concert season with what we fully know will be a raucous night featuring The Old Howard Troupe, an ensemble of veteran artists devoted to bringing the experience of the Old English Music Hall right to our Branford stage. Members of the troupe wear Victorian-style stage costumes typical of the era and perform the hits of the music hall stage, with and without accompaniment. Roll up, roll up, and hear the entertainment! This is not a dry lecture or a workshop, it's a full-out show! The troupe's vintage ensemble style features some old favorites of the music hall stage: rousing chorus songs, songs that might make you blush, and bittersweet but tender songs that tug at the heartstrings. There's literally something for everyone in the group's fast-paced and fun performance. And have no fear that the entertainment will lapse because the troupe's steadfast chairman will keep things moving along smoothly with his keen wit and saucy comments. The Old Howard Troupe is a group of singers with big voices and includes: Lynn Feingold, Anabel Graetz, April Grant, Jeff Keller, Angela Kessler, Jeremy Kessler, Jean Monroe, Phillip Nimerskern and Lynn Noel. All have extensive performance experience, both as solo performers and group performers, throughout New England and beyond. Curious? Come out and join us for what will be a bang-up start to a glorious Branford Folk Music Society concert season. Fiddles, guitar, Welsh harp, accordion, bagpipes and step dancing explode into life when Welsh group Calan takes the stage. We're delighted to have them with us this fall for their Connecticut concert debut. It will also be a bit of history-making for the folk society: This is the first time in our 43 years that we've welcomed a Welsh group to our stage. Branford is the group's next-to-last stop on a tour of the United States and Canada that has spanned three months including appearances at the famed Celtic Classic festival in Bethlehem, Pa., the Milwaukee Irish Festival and the Great Lakes Folk Festival in Michigan. Calan gathers together the remarkable talents of five young musicians who give a fresh and vibrant sound to traditional Welsh music. With a contemporary and lively approach they breathe new life into the old traditions through their sparkling melodies, foot tapping tunes and spirited and energetic performances of Welsh step dancing. They blast their way through some of the old favorite reels, jigs and hornpipes with fast paced and uplifting arrangements before melting into some of the most beautiful and haunting songs. Following release of their 2008 debut album Bling, which attracted four star responses from the critics, the five-piece band has been playing to large audiences and rave reviews at concerts and festivals around Britain and Europe, including the coveted Cambridge Festival and Celtic Connections soirees. Concert tours have taken them to Italy, Austria, Brittany and Belgium. They released their second album Dinas last year. The group has raised some eyebrows with a deliberate policy of eye-catching clothes and presentation in their concerts. Despite the ancient roots of their music, they envision themselves as a new generation of ambassadors, striving to take their new sound to new audiences, while raising the profile of Welsh traditional music on an international level. With their unique instrumental blend and the percussive sound of the Welsh clogs, Calan is certainly finding their musical niche. As the BBC Wales put it, "Calan has it all. Energy, attitude, freshness, a sense of fun and above all real talent." Since 1976, the Elias Ladino Ensemble has performed the songs of the Sephardic Jews in venues all over the world. Though Ladino is on the verge of extinction, in the hands of this ensemble the music remains as vibrant as the community once was. There is a "Ladino soundtrack" for every aspect of life. Many of the songs date back to ancient Spain while some reveal melodies and rhythms of the Balkan and Middle Eastern communities where Sephardic groups lived in exile. 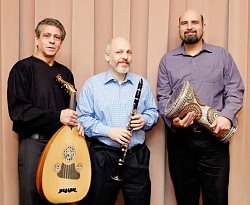 The Elias Ladino Ensemble – Daniel Elias, musical director and clarinet; Maurice Sedacca, guitar and oud; and Casey Bond on doumbek – is one of the very few Sephardic groups whose vocalists are native speakers of Ladino. They are the real thing, having been born and raised in the musical tradition of the Spanish Jews, descendants of the Jews who left the Iberian Peninsula in the late 15th century. Their instrumentalists have mastered "A la Turka" ensemble playing as well as world class solo virtuosity. The group has performed together since their debut at the Smithsonian Institution's Festival of American Folklife in 1976. Since then they have performed and collected material in every corner of the Ladino-speaking world, including Istanbul, Izmir, Bat Yam, Safed, San Juan, Miami, Toronto, Barcelona, Zaragoza, and at folk festivals, universities, Hispanic institutes, and congregations of many religious denominations. They have appeared at the renowned Sephardic Music Festival in New York City. In performance, they will explain each song and how it fits into Ladino culture, which has grown to encompass the entire Mediterranean rim, and the origin of the songs. He's coming baaaack! It's been six long years since his last Branford appearance, so we are overjoyed that Bruce Molsky, one of the most revered "multi-hyphenated career" ambassadors for America's old-time mountain music, will be with as we close out our 2016 concerts. Without doubt, Bruce is one of the most influential American folk fiddlers of this generation, not only renowned throughout the world as a master fiddler, but also as a remarkable guitarist, banjo player and vocalist. His high-spirited music melds the archaic mountain sounds of Appalachia, the power of blues and the rhythmic intricacies of traditional African music. A Minneapolis Star-Tribune music critic called him "old-time music's answer to Ry Cooder – a commanding musician with a voracious appetite for traditional music styles." He's a self-described "street kid" from the Bronx who bailed on college and big city life for a cold-water cabin in Virginia in the 1970s. His mission? To soak up the passion that was dramatically upending his parent's life plan for him – authentic Appalachian mountain music – at the feet of its legendary pioneers, old masters who are now long gone. For decades, he's been a globetrotting performer, ethnomusicologist and educator, a recording artist with an expansive discography including seven solo albums, well over a dozen collaborations and two Grammy nominations. He's also the classic "musician's musician" – a man who's received high praise from diverse fans and collaborators like Linda Ronstadt, Mark Knopfler, Celtic giants Donal Lunny and Andy Irvine, jazz artist Bill Frisell and Dobro master Jerry Douglas. In short he's a true country gentleman aptly dubbed "the Rembrandt of Appalachian fiddlers" by virtuoso violinist and sometimes bandmate Darol Anger. Even this year, Molsky continues to pioneer new ground. The debut disc by Molsky's Mountain Drifters, the first band the legendary fiddler has fronted, was just released. In addition, another new release, "Can't Stay Here This a-Way", is a unique CD/DVD collection recorded in Los Angeles for Dave Bragger's Tiki Parlour series. Not a recording session in the traditional sense, Bruce just showed up, sat on a couch while the camera and recording device rolled – capturing all the spontaneity as he casually reeled off and provided insightful comments on traditional favorites and some new offerings. Also on the slate is "Rauland Rambles" from Molsky and Norwegian collaborators, Arto Järvelä and Anon Egeland. This recording, which fuses traditional American roots with Scandinavian folk, comes from an impromptu session set after Bruce performed at this year's Rauland International Winter Festival in Norway. "Performing and teaching traditional music is the biggest thing in my world," Bruce has said. "For me, being a musician isn't a standalone thing; it informs everything I do in my life. It's always been about being creative and being a part of something much bigger than myself, a link in the musical chain and part of the community of people who play it and love it." And even more good news if you love old-time music. Branford Folk will kick the new year of 2017 into high gear on Jan. 14 when it presents dynamic Canadian fiddler, singer and step dancer April Verch in concert. April knows how relevant an old tune can be. She was raised surrounded by living, breathing roots music – her father's country band rehearsing; the lively music at church and at community dances; the tunes she rocked out to win fiddle competitions. She thought every little girl learned to step dance at the age of three and fiddle at the age of six. She knew nothing else and decided early on that she wanted to be a professional musician. She took that leap, and for over two decades has been recording and captivating audiences worldwide, exploring new and nuanced places each step of the way. In February, she will release The April Verch Anthology (Slab Town Records), an 18-track collection celebrating her life's work. She hand-picked the songs on this compilation which offer an enchanting mix of regional Canadian, American old-time, bluegrass, country and Americana tracks. The April Verch Anthology is a testament to the many chapters in April's musical journey: Moving from exuberant stepdancer to fiddle wunderkind and silver-voiced singer; from upstart prodigy to mature and reflective songwriter, interpreter, and storyteller. The compilation is an excursion through April's 1998-2015 recordings, featuring tunes and songs dear to her as well as a healthy dose of fan favorites and two newly recorded tracks. "Through this anthology, I am reminded of the inspirations with which I began and of the hopes I hold for the future. I take a moment to reflect and to celebrate," she says. While April is perhaps best known for playing traditional fiddle styles from her native Ottawa Valley, Canada, her performances extend into old-time American and Appalachian styles and far beyond, for a well-rounded tour-de-force of North Americana sounds. She and her fellow trio members pare down their arrangements, highlighting the simple pleasures of upright bass, guitar, clawhammer banjo, voices, fiddle, and stepping in intimate conversation. At the heart lie April's delicate voice, energetic footwork, and stunning playing. Sometimes she sings, steps and fiddles all at once, with apparent ease and precision. She is – as they say – a triple threat in performance. Philadelphia based Coracree, plays roots music from the heart, melding a mixture of Celtic, Old time, European and Original music with an old and contemporary sound. Coracree combines the talents of four great musicians with a lifetime of playing traditional music who also write new melodies and songs in the traditional style. Featuring the playing of award winning fiddler, clawhammer banjo player Janie Rothfield, the silver throated singing (and bass playing) of Scotsman, Allan Carr, multi-instrumentalist extra-ordinaire, Bill Quern, and the inventive and driving guitar of clog dancer Sarah Gowan, Coracree sets the house on fire! With lively fiddle tunes, soulful Scottish and Appalachian ballads, great singing and harmonies, a bit of raucus southern Old Time and an occasional clog dance by guitarist Sarah Gowan, an evening with Coracree equals a fun evening of music, dance and humor! 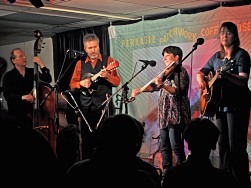 Since 2010, Coracree has played at contra dances, concerts and festivals throughout the American East, spreading their unique and entertaining brand of Old and New folk music to audiences of all ages. With a deep repertoire that spans 200 years of American music, Rani Arbo and daisy mayhem will offer listeners sublime lead singing, great harmonies, wicked grooves and sparkling original songs when they return to Branford Folk on March 11. Now in its 15th year, the ensemble has played from the Newport Folk Festival to the California World Music Festival and beyond, dishing out a steadfast brew of wit, camaraderie, and musicality and leaving audiences humming and hopeful, spirits renewed. This will be a one-of-a-kind performance of the band as a trio featuring Rani on fiddle and guitar, Anand Nayak on electric and acoustic guitars and Scott Kessel on percussion. Unfortunately, longtime band member Andrew Kinsey, who plays bass, banjo and ukulele, cannot make the gig because of a family commitment. At the band's helm is Rani "blessed with an unmistakable voice, both light and sultry, with a hint of tremolo and smoke" (Acoustic Guitar) and a fiddle that is sweet and sinewy. Anand's guitar stretches across genre lines while Scott's homemade percussion kit – always a favorite – is a truly funky collection of cardboard boxes, tin cans, caulk tubes, packing-tape tambourines, bottle-cap rattles, Mongolian jaw harps, and a vinyl suitcase. In the lineage of string bands who blur the boundaries of American roots music, Rani Arbo and daisy mayhem have always been standard-bearers, with as one Boston Globe music reviewer aptly put it, "a grand knack for pumping new blood into old music". Imagine, for example, a pre-Civil War song from the Georgia Sea Islands sung over a New Orleans-style groove. Or, an old Irish fiddle tune with new lyrics, capped with a solo on a South American box drum. An original Unitarian funk gospel song? You begin to get the idea of what Rani Arbo & daisy mayhem is all about. And their original songs fit seamlessly aside artful re-workings of artists such as Hank Williams, Leonard Cohen and Bruce Springsteen – just a few of the many places this band is willing to go. The band has released six albums on Signature Sounds Records, their latest being the holiday release of "Wintersong", a baker's dozen of works that skip over the holiday canon and dig up the power, beauty and the celebration of the roots of Christmas and the turning of the year. There will be a bit of musical mayhem when Lou and Peter Berryman, two of the most humorous and creative songwriters in today's world of folk and acoustic music, invade Branford Folk this spring. Lou and Peter are originals, blending Midwestern culture with intelligent observation in a whimsical and wonderfully accessible performance. Hailing from Wisconsin, Lou and Peter – whose friendship survived a brief marriage – have delighted audiences across the country for more than 35 years post-marriage. They have produced 18 albums and four songbooks of their original and hilarious yet oddly profound songs. Berryman songs are being sung around the world, by a legion of professional musicians from Peggy Seeger to Garrison Keillor to a recent "all Berryman" album by Cindy Mangsen and Steve Gillette, as well as shower singers everywhere. Their songwriting takes life's mundane moments and turns them into musical magic. Subject matter ranges from the Thanksgiving grace of a politically-correct uncle to a service industry for older people that specializes in forgetting things. The late Pete Seeger characterized their classic, hit song, "A Chat With Your Mother" (a.k.a. "The F-Word Song") as "one of the great American folksongs of the 20th century." Lou and Peter began their musical partnership in high school in Appleton, Wisconsin, in the 1960s. By the late '70s they had established themselves as a prominent feature of the songwriting subculture of Wisconsin's capital, playing their original material every week for almost ten years in the run-down but trendy music room of Madison's Club de Wash. Gradually expanding their circuit, they began crisscrossing the continent and gaining national attention with appearances on such radio programs as "A Prairie Home Companion" and "Weekend Edition". This could be a final opportunity to see and hear Lou and Peter, as they are retiring from national touring and, sadly, they say this will be their final tour in the Northeast. Without doubt, Tom Lewis is one of North America's foremost exponents of contemporary sea songs. His repertoire – from traditional shanties to songs fashioned out of his own seafaring background – recruits his audience for a voyage by turns reflective, dramatic and humorous. 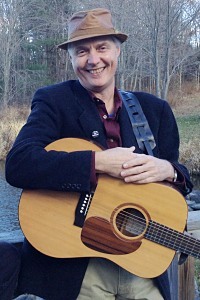 Long a Branford Folk audience favorite, this will be Tom's sixth appearance at the coffeehouse. Tom is a 24-year veteran of the Her Majesty's Royal Naval diesel submarines, although now he's comfortably located on dry land and we're all better off for it musically. His musical career began in 1960 when he was posted to a naval station in Scotland and began frequenting local folk clubs. He retired from the Navy in 1983. Born in Northern Ireland, Tom's Celtic heritage is obvious in his clear, strong voice, evoking quiet sorrow for a fisherman lost to the sea just as honestly as it powers out a shanty "to be heard above the gales." With songs that have become folk standards; known and sung wherever great choruses ring out; Tom accompanies himself on button accordion and ukulele – but it's his powerful vocal style and infectious humor – that quality of entertaining – which keeps audiences coming back again ... and again. As winner of the inaugural "Trophée Stan Hugill", French fans dub Tom "The Springsteen of Sea Chanteys". The Old Songs Festival in New York declares "This man knows the sea ... from the bottom up! ", whilst Living Tradition magazine (in the UK) says "Although I always knew he was good, I was not quite prepared for HOW good." Because of his naval background, he brings a rare authenticity to the realm of nautical song. We're kicking off our 44th season of concerts in super-high gear with a return visit from North Sea Gas, one of Scotland's most popular folk bands. 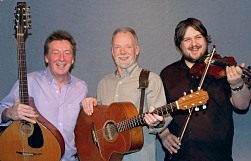 Ronnie MacDonald, Grant Simpson and Dave Gilfillan comprise North Sea Gas and in concert they bring along guitars, mandolins, fiddles, bouzoukis, whistles, bodhrans, banjos and cracking senses of humor. They last visited Branford Folk in 2013 and it was standing room only! North Sea Gas is known for their energetic repertoire that incorporates lively vocals and awe-inspiring three-part harmonies. The trio has been together for more than 35 years and has recorded 20 albums, the latest entitled "When We Go Rolling Home" released just this summer. In the same way as their albums, their show features traditional, contemporary and self-penned material. North Sea Gas is a hard touring band with regular swings through Scotland, America, Canada, Germany and Austria, and occasional extended tours that take them around the globe. In 2008, they recorded for Chinese television with an estimated audience of 800 million! Their Branford appearance is part of a six-week tour in the U.S. The group has received numerous Gold and Silver disc awards from the Scottish Music Industry Association and regularly sells out shows at the prestigious Edinburgh Festival Fringe. Their album "The Fire and The Passion of Scotland" won the 2013 Album of the Year bestowed by the Celtic Radio Music Awards in the U.S. as well as a first place in the "Jigs and Reels" category for a set of tunes on the album. 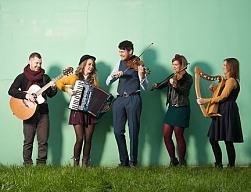 As Irish music journalist and broadcaster John O'Regan put it ".....they inherit the mantle vacated by The Corries and The McCalmans with tight vocal harmonies and well-chosen material.... most commendable about North Sea Gas is their ability to balance up tempo material with quieter more thoughtful moments and treat each with commitment and professionalism." Lorraine, renowned master of the Appalachian dulcimer, also plays banjo, mandolin and Celtic harp and is an expressive singer and songwriter. Bennett, a superb finger-style guitarist and recent convert to the five string banjo, names "the three Bs", Bach, the blues and Buddy Holly, as major influences. Together, The Hammonds are versatile musicians and engaging entertainers. Their warm stage presence is punctuated with wry humor, and their command of their instruments and musical genres is without flaw. The Boston Globe calls them "a dazzling, witty, eclectic, delightful duo." The duo's repertoire ranges in style from classical through Celtic, blues and contemporary. They sing both traditional and original songs and can be heard on over thirty recordings as featured artists, or enhancing the work of performers including Archie Fisher, Lui Collins and Bob Franke. Christine Lavin and Heidi Mueller are among the artists who have covered Hammond originals. The couple live in Brookline, Massachusetts and their most recent releases, all on the independent folk label Snowy Egret Music are Jingalo Gypsy featuring the duo, Bennett's Rockafolky Banjo Tapes and Lorraine's Muddy River Suite. "Jingalo Gypsy is a warm, enveloping, well-thought-out recording...beautiful CD." - Dirty Linen Folk Magazine. "More than just good pickers, Lorraine and Bennett are singers with an ear for traditional and contemporary songs. They work seamlessly together, blending instruments and voices." - Golden Link Folk Society. Beloved performer Bob Zentz, who has been described as a one-man minstrel show, brings his smorgasbord of contemporary, traditional and original songs and stories to Branford Folk in November. From schools to concert halls, festivals to fairs, museums to libraries, and everywhere in between, Bob is dedicated to a life of presenting, performing and introducing traditional music and its derivatives to those who are already fans – and those unaware of its existence. A teller of "the tales behind the songs"
A scholar of the evolution of "homemade music"
Bob, who hails from the Tidewater region of Virginia, has been performing for more than five decades and offers up a program that is a unique testimony to his vast repertoire and varied personal interests. Concertgoers can expect to hear a concert that includes traditional Celtic tunes and ballads, science fiction songs, sea chanteys, tales of "old timers and old rhymers", and poetry set to music. Two of the most storied songwriters of the 20th century praised Bob's work, each in his own way. Upon hearing Bob's first recorded release, "Mirrors and Changes" (on Connecticut's Folk-Legacy Records) country music legend Johnny Cash was moved to send the young artist an encouraging letter, saying, "Mirrors and Changes ... is one of the finest works I've heard by any artist." And in 2007, at a symposium at the Library of Congress American Folklife Center honoring members of the Seeger family for their contributions to American music, music legend and humanitarian Pete Seeger asked Bob, "Are you still writing those good songs? Your songs get around!" 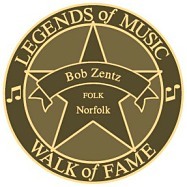 In February of this year, Bob became the first folk artist ever honored by a star in the Virginia "Legends of Music Walk of Fame" in his hometown of Norfolk. December 9, 2017: Concert cancelled because of snow. What a high and joyous note on which to start the New Year! 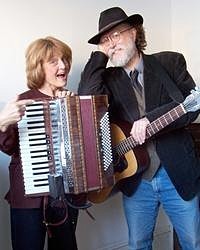 Internationally renowned and respected balladeers Debra Cowan and John Roberts make a return visit to Branford Folk with their ever-expanding sack of songs and ballads. With their eloquent voices and expert musicianship, John and Debra bring to life songs seldom heard on TV or radio these days. Drawn from both the folk tradition and the work of contemporary songwriters, many of these songs tell of the timeless joys and sorrows of human experience. They offer windows into where we've come from and perhaps where we're headed. Both musicians can also spin a ripping good yarn and whether illuminating, inspiring, or laugh-out-loud funny, their stories convey their love of the songs and the people who've sung them over the years, decades and, in some cases, centuries. From the minute she begins to sing, Debra grabs her audience and doesn't let go. Her ability to communicate the story within the song is a rare art. It's agreed by music presenters and radio programmers alike that she possesses one of the best voices in folk music today. Her rich nightingale soprano conjures images of stony-grey Celtic castles, green and rolling English landscapes and humorous American scenes as she moves through a repertoire full of traditional balladry with a sprinkling of sea music, contemporary songs and outrageously comic songs. John is the proverbial "walking encyclopedia" of folk songs and folklore. For over 45 years, John, a British expatriate, has been singing and playing old songs, meaning that many of the songs and tunes in his extensive repertoire can be traced back at least 100 years. 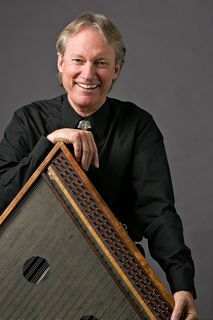 He is also considered one of the foremost Anglo concertina players in the English-speaking world and uses the banjo for unique settings in many of the songs he sings. He can give the background of any song he performs, often telling the listener the circumstances from which it might have been written and from whom the song was collected. John and his long-time music partner, Tony Barrand, are often cited as influences and mentors to many listeners, singers and musicians when it comes to traditional folk music of the English-speaking world. John and Debra's musical partnership began in 2009 with a simple question: "How are you getting to Chacago?" And with that, they decided to team up for a series of small concerts in Pennsylvania, Ohio, Michigan and Illinois before arriving as separately booked artists at the Fox Valley Folklore Society's annual festival. The combination of car-pool and mini-tour was successful enough that they continue to do more performing together both in the U.S. and in 2011, with a successful tour in the United Kingdom. They've recorded one album in 2015, "Ballads Long and Short" on Golden Hind Music that has already become a classic. John and Debra firmly believe that folk music is not a spectator sport. They can turn any audience into a chorale by patiently teaching sometimes complicated and often tongue-tying choruses, along with familiar songs. Join us on Jan. 13 and we promise that you'll leave the performance smiling and often singing, knowing that, as Debra and John say, the song is the star, and singing is what keeps great songs alive. Here's the perfect solution to fighting the wintertime blahs. 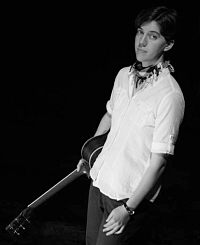 Join us for a return visit to Branford Folk by Toby Walker, winner of the prestigious International Blues Challenge Award who's been hailed as a finger style guitar virtuoso. If you were with us in 2013 when he made his Branford debut you know exactly what we're talking about. Toby combines the styles of blues, ragtime, country, bluegrass, rock and old time jazz into his own unique style. Jorma Kaukonen of Hot Tuna and the Jefferson Airplane says, "Flat out... you have to hear this great musician... I'm blown away". Jorma has employed Toby to teach at his internationally famous Fur Peace Ranch Guitar Camp for more than a decade. In 2014, Toby was recognized as a "Master Blues Artist" by the New York Blues Hall of Fame and four years previous won the New York Music Award for "Best Instrumental CD," sharing honors on stage with Mariah Carey, Rufus Wainwright and Judy Collins among other award winners. His crowning achievement, however, was winning first place in the International Blues Challenge Award given by the Blues Foundation in Memphis, Tennessee. He has toured America, England, Wales, France, Germany, Belgium, Holland and, most recently, Cyprus, and he's been the subject of profiles in The New York Times and the London Sunday Times and has appeared on the London BBC and on Sirius-XM radio. At a young age, Toby's passion for blues, rags, folk, and other traditional American music forms drove him to leave an apartment crammed full of recordings, books and instruments for the Mississippi Delta, Virginia and the Carolinas where he tracked down some of the more obscure – but immensely talented – music makers of an earlier era. He learned directly from Eugene Powell, James "Son" Thomas, Etta Baker and R. L Burnside, among others. 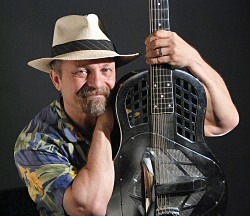 Toby recently released several instructional guitar DVDs for the respected Homespun Tapes which have been garnering rave reviews and he just released a new album of traditional blues entitled "From The Ground Up" that is already receiving rave reviews from critics and fans alike. Carnegie Hall recently acknowledged his talent and hired him to augment and teach in their "American Roots" program aimed at honor level middle school students. Bob Bovee has traversed the country since 1971 bringing his authentic cowboy songs, ballads, blues and ragtime, square dance tunes, sentimental songs, novelty numbers and yodels to audiences of all ages at folk festivals, fairs, concerts, dances, schools, libraries, music camps, radio and TV programs. This is rural music as played in homes, at dances and for earlier entertainments such as minstrel shows and country radio. Now he brings this varied repertoire to the Branford Folk Music Society. Bob hails from Minnesota, but he's a Nebraska native whose family sang and played the old-time songs. Many of the western and railroad songs he does were learned from his grandmother and uncle. He plays banjo, guitar, autoharp and harmonica and is renowned for his dry and witty stage humor spiced with stories, history and folklore. For nearly 35 years, Bob was part of a duo with Gail Heil, his wife, best friend and musical partner until her death in 2013. In addition to performing, Bob has published numerous articles and reviews for The Old-Time Herald and Inside Bluegrass and served as an instructor for a course called "The History of Country Music" at the Honors Division of the University of Minnesota. He's also the artistic director for the Bluff Country Gathering and the organizing force for the Lanesboro Barn Dance, both Minnesota organizations. Through the decades, Bob has appeared at just about every major folk festival in the United States and Canada and has performed on National Public Radio shows such as "Prairie Home Companion", "Mountain Stage" and "River City Folk." His extensive recordings go back to the days of tape cassettes and long-playing records, but he also has several compact disc offerings including the recent, "Rails, Trails & Tall Tales." One writer in Cowboy Magazine summed up Bob's music perfectly: "Have you heard those real old recordings of a cowboy singing a traditional song? The songs have an 'old' quality about them, and the singers' voices seem to belong to a dried up old puncher just in from off the trail. Well, intentional or not, that is exactly how Bob Bovee sounds. His voice isn't pretty, but it's darn sure true to the genre ...he renders these songs with authenticity and affection. It seems as though he belongs to this music and it to him." Join us on March 10 for a special musical program. 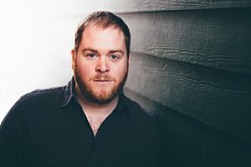 Born into a family of Newfoundland music makers and storytellers, Matthew Byrne's repertoire is heavily influenced by that unique musical lineage – the weaving of a great story with a beautiful melody – and he supports this tradition with powerful vocals, polished guitar work, and a presence that fills the listening room. His repertoire transcends time and place and his live performance reminds us how satisfying traditional songs can be when stripped down to their basic elements. He's a young performer, but he holds a deep, seasoned respect and reverence for traditional music. His music has traveled well beyond the rugged shores of his Newfoundland home since his 2010 debut album, "Ballads." It wasn't long before his second album, "Hearts and Heroes", received Traditional Recording of the Year at the 2015 Canadian Folk Music Awards. With that, Matthew established himself as one of Canada's most authentic and vital traditional voices. Touring both as a solo artist as well as a singer with The Dardanelles, Matthew has graced major festival stages worldwide including the Winnipeg Folk Festival, Celtic Connections in Glasgow, UK, and The Woodford Folk Festival in Queensland, Australia. Last summer he released his third album "Horizon Lines" a collection of mostly traditional material exploring songs from both sides of the Atlantic and also continuing his journey through his own unique musical lineage. Accolades abound for Matthew's music with perhaps some of the highest praise coming from renowned Canadian singer-songwriter James Keelaghan who noted that Matthew "sings with a voice as true as a compass needle and is a dab hand on his instruments as well. His 'Ballads' is one of the finest English language traditional albums to come out in many a year." This ensemble that performs infectious folk music and dance from Sicily and Southern Italy was snowed out for our December concert but we were fortunate enough to reschedule them this spring in what we trust will be warmer weather. Michela Musolino and Rosa Tatuata are driven by the love of the roots music from that region of the globe and they offer up passionate interpretations of the traditions and melodies of their ancestors. Just as their name comes from Tennessee Williams' beloved play about the happy, raucous collision of immigrant and American cultures, likewise Rosa Tatuata's performance relates that incredible commingling to their beloved audience through song! And because it's Spring, Rosa Tatuata will be presenting a concert around the themes of rebirth, growth and renewal and the celebrations of Carnevale and St. Joseph's Day. Then there will be dancing. Fueled by their research into traditional instruments like the tamburo (Sicilian frame drum), organetto, marranzano (jaw's harp) and zampogna (Southern Italian bagpipes), Rosa Tatuata introduces traditional songs into different musical contexts that rhythmically mirror the commingling of Old & New World. With an enchanting mix of ballads and dance tunes, Rosa Tatuata will take your imagination to sunbathed Southern Italy and the clear, crystal-blue waters surrounding Sicily. Michela will be joined by Phil Passantino, Charlie Rutan and Jeffrey Panettieri as Rosa Tatuata in what is sure to be a concert with plenty of audience participation, whether singing or dancing. Bring your dancing shoes because in the concert's second half, Rosa Tatuata will teach and lead the audience in traditional Sicilian dances. Michela is American-born-and-raised, but has been carrying on a love-affair with Sicilian music since growing up in a household where Sicilian dialect was spoken. Known for her fiery and passionate interpretations of both traditional and contemporary Sicilian folk and roots music, she turns world fusion songs into timeless pieces and infuses her vocals with the emotions of life. She enchants with a voice that seems to float between the ages. Peter Covino, Pen America prize-winning poet and University of Rhode Island Assistant Professor of English said this about Michela: "Can you imagine the wild soulfulness of Tina Turner and the earthy yet ethereal voice of Neapolitan songstress Teresa De Sio combined? Well imagine that; then think even more vibrancy, more urbanity, in songs that somehow also feel impossibly intimate.... No wonder Michela Musolino has such a devoted underground following; full divahood seems scarily within reach." 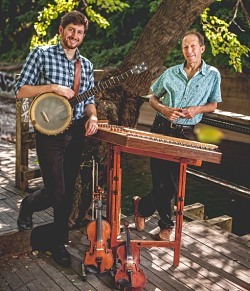 The society closes out its 2017-18 concert season on May 12 in fine fashion with the father-son duo of Ken and Brad Kolodner who have been taking old-time music into uncharted territory, creatively infusing the idiom with their tasteful and hypnotizing approach on hammered dulcimer, banjo and fiddles. Long regarded as one of the most influential hammered dulcimer players and old-time fiddlers in North America, Baltimore's Ken Kolodner joined musical forces nearly a decade ago with son Brad, a rising star in the clawhammer banjo world, to create and perform old-time music that draws largely on tradition but also offers a neo-traditional approach through their innovative arrangements of the music and their own compositions. They are a duo that's simply in-synch. As son Brad aptly puts it, "Playing as a father-son duo feels very natural." Whether rehearsing, jamming or performing on stage or in the recording studio, the Kolodners are always locked-in. "Our musical sensibilities are very aligned." Ken Kolodner's roots run deep in folk music. He toured and recorded for many years with the legendary world music trio Helicon with Chris Norman and Robin Bullock. His extensive repertoire of thousands of pieces includes traditional music from over 30 countries on all continents. He's performed in every state in the U.S. and teaches locally in Baltimore with over 75 fiddle and hammered dulcimer students. Brad Kolodner is recognized nationally for his delicate touch and expressive style on banjo and his original musical compositions. He has placed in the finals of the banjo contest in 2014, 2015 and 2016 at the Appalachian String Band Festival in Clifftop, WV, one of the most prestigious old-time banjo contests in the world. Clawhammer banjo is experiencing a rebirth in American folk music and Brad is helping to lead the charge as a performer, teacher, DJ for WAMU's "Bluegrass Country" in Washington, D.C., jam leader, community builder and ambassador for old-time music. He is the recipient of the International Bluegrass Music Association's 2016 Momentum Award for Industry Involvement. In addition to touring with his father, Brad also regularly performs with the roots quartet Charm City Junction. Ken and Brad have released three critically acclaimed albums. Their first recording, Otter Creek, in 2011, quickly became the most played instrumental recording on the international Folk-DJ Radio charts. Brad's original composition "Otter Creek" was the most played instrumental track on the charts that year. Their second album "Skipping Rocks" followed in 2013 and 2017 saw release of their third album, "The Swift House". Concert appearances for the Kolodners include performances at The Kennedy Center, The Walnut Valley Festival, The Old Songs Festival, The Charm City Folk and Bluegrass Festival and The Champlain Valley Folk Festival. They have logged numerous live radio broadcasts and concerts and festivals along the Eastern seaboard from North Carolina to Vermont and across the country from Wisconsin to Arizona. 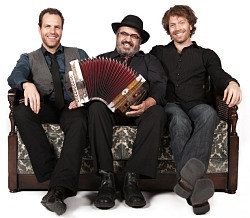 The Branford Folk Music Society opens its 45th season of Saturday concerts with the rousing, high energy Quebecois music of the Yves Lambert Trio, featuring one of the iconic artists responsible for reviving the traditional music of Quebec in the 1980s. Yves Lambert, an accordionist and vocalist, was a founding member of La Bottine Souriante in 1976 and for 26 years he was a major figure in the celebrated ensemble that spearheaded a revival of Quebecois music on an international level. Yves is known for his unique ability to translate anecdotal, poetic or political texts into songs. His work as a songwriter and his capacity to create unique musical moods make him a key figure in Quebecois folk music. Some Quebecois critics have defined Yves as a "leading light in the traditional aesthetic of our cultural heritage" and "a veritable patriarch of the revival of Quebec's musical roots". The Bottine experience led Yves to share various awards with the group, including three Junos (the Canadian equivalent of America's Grammys), eight Félix Awards for Traditional Album of the Year, and a BBC Award for Traditional Album and Group of the Year. But, after more than a quarter century with La Bottine Souriante, Yves began searching for new musical adventures in 2003. Always on the lookout for innovative trends and attentive to the new guard of Quebecois musicians, he ended up surrounding himself with young talent and created first the Bébert Orchestra in 2004, and then the Yves Lambert Trio in 2010 with fiddler Tommy Gauthier and guitarist Olivier Rondeau, both instrumental virtuosos. The trio showcases the unique connection between maturity and youth and creates a new world of poetry and celebration with nuanced arrangements and distinct harmonies. The trio brilliantly demonstrates how traditional local music continually reinvents itself within a modern context. The Yves Lambert Trio comes to Branford Folk after a summer tour in the United Kingdom with gigs at major folk festivals and an appearance on BBC radio and hot on the heels of the release of the group's latest album, Temptation (Tentation). October 13, 2018: Walt Michael & Co. Throughout his more than four decades as a hammered dulcimer virtuoso, Maryland's Walt Michael has virtually "played it all". He's appeared at The White House, the Kennedy Center, Lincoln Center, the Metropolitan Museum of Art and the closing ceremonies of the XIII Olympics Winter Games at Lake Placid, N.Y. And with his ensemble, Walt Michael & Co., he's appeared at major folk festivals throughout America, Canada and Europe and enjoyed sundry appearances on a multitude of national television and radio stations. It is truly an honor to have Walt Michael & Co. grace our stage at Branford Folk. Walt was an influential figure during the revival of the hammered dulcimer in folk music in the 1970s, establishing a repertoire that ranges from old-time Southern Appalachian, to Celtic, to breath-taking and lyrical original compositions. He's a vocalist and multi-instrumentalist as well with 14 albums and instructional videos to his credit. He will be joined for this concert by what he terms his "New York Ensemble" featuring the incredible twin fiddling of Evan Stover and Frank Orsini, both thoroughbreds of the Hudson River Valley music scene, as well as the impeccable signature bass playing of Tom Wetmore. Seamless four-part vocals additionally distinguish this ensemble from other fiddle bands. The members of Walt Michael & Co. have been in one another's musical circles and recordings in various scenarios since 1973 and joined forces in 1988. Walt's previous incarnations included Bottle Hill and Michael, McCreesh & Campbell. Most important to Walt, he serves as Artist in Residence at McDaniel College in Westminster, Maryland (his alma mater when it was Western Maryland College), as well as founder and executive director of Common Ground on the Hill, an international arts organization with ties to the college which seeks to promote interracial harmony through the traditional arts (www.commongroundonthehill.org). Common Ground has marked 24 years of concerts, lectures and workshops at the college, culminating in a summer festival that attracts thousands of people annually. In addition, Walt's diverse musical background includes composing and performing collaboratively with both the Pilobolus Dance Theater and the Alvin Ailey American Dance Theater. He was the musical producer, composer and recording artist for the Outdoor Living Network's documentary, Cowboy 101, and he's collaborated with five-time Tennessee State Fiddle Champion Jim Wood to produce two instrumental albums. His music figures prominently in the feature length movie "The Last Blast" in which he also plays two roles: a punk rocker and a G-man. It's little wonder that The Living Tradition Magazine said this about Walt: "An antidote to all the spoon feeding in-yer-face music that thrusts itself upon us – yes even in the folk world, Walt Michael's music steadfastly refuses to show even a glimmer of lowest common denominator, and here remains resolutely intelligent, both in its selection and execution of the material." 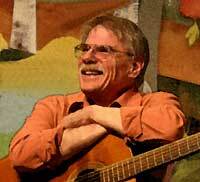 One of the most popular performers to appear at Branford Folk through the decades, Bill was last with us for our 40th anniversary year and returns in November for our 45th year. Bill holds a fond niche in our hearts at Branford Folk because he provided major support in the formative years of the society as it sought to gain a permanent foothold as a venue (which back then offered concerts almost weekly) and boost its audience size. Bill performed here for 18 consecutive years from 1974 to 1991. Now, well into his fifth decade as a performer, he has rightly gained an international reputation as a gifted songwriter and performer. Singing mostly his own songs, he has become one of the most popular and durable singers on the folk music scene today, performing nearly 200 concerts a year and driving over 65,000 miles annually. He has recorded 27 albums and there are three published collections of his songwriting which remain in print. His songs have been recorded by scores of artists, including performers as diverse as Nanci Griffith, the Grand Ol' Opry's Grandpa Jones, Peter, Paul and Mary, the Clancy Brothers & Tommy Makem and Mason Williams. Griffin says that Staines has been her hero since 1977, noting "He carries on where Woody left off – carrying on the tradition of stories and characters you wish you knew." Many of Bill's songs have appeared in grade school music books, church hymnals, and scouting campfire songbooks; he is one of only a few songwriters to have eight songs published in the classic song collection, Rise Up Singing. Composer David Amram recently described Bill as "a modern day Stephen Foster...his songs will be around 100 years from now." 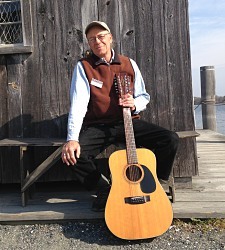 Jerry Bryant is well-known along the New England coast as a singer of sea songs. But that's not what you'll hear from him when he makes another visit to the Branford Folk Music Society. "I dearly love maritime music," he says, "but there are boatloads of other great songs out there." For this concert Jerry will present some of his favorite non-maritime songs, drawing on his broad repertoire of traditional song, material from the American songbook, and gems from songwriters such a Paul Simon, Jackson Browne, and John Prine. With the winter solstice swiftly approaching, expect some seasonal songs as well. For the past four decades, Jerry has performed folk music all over the United States, accompanying himself on guitar, concertina, banjo, melodeon and other acoustic instruments. His repertoire includes hundreds of traditional and contemporary folk songs, including his own songs which use tradition as inspiration. Of his original songs, "The Ballad of Harbo and Samuelsen" is best known. It's an epic ballad that recounts the story of two Norwegian-born Americans who in 1896 became the first people ever to row across the North Atlantic, a fete that stood alone for 114 years. The song has been recorded by several performers including William Pint and Felicia Dale, Connecticut's own Forebitter and the late Rick Lee. He has recorded three solo albums with his most recent entitled Roast Beef of Old England, a collection of traditional songs from the man-of-war days of the British Navy that is also a companion to the seafaring novels of Patrick O'Brian. Jerry has been featured at the San Francisco National Maritime Historic Park's sea music concert series, Mystic Seaport Museum's annual Sea Music Festival and South Street Seaport in New York, and many other venues. He last appeared at Branford Folk in 2011. Do join us for a different side of Jerry and the opportunity to gain a modicum of fine musical relief from the hectic hubbub of the end-of-the-year holiday season. Called the "ambassadrice" of Franco-American music, Josée Vachon presents French-Canadian foot rhythm and songs from her Quebec and northern Maine upbringing, as well as originals about her culture in a return visit to Branford Folk. Her warm vocals and fun-loving, engaging anecdotes capture the "joie de vivre" of New England's Franco-American music. Josée has been sharing her Franco-American upbringing with audiences for over 25 years. She began singing publicly with the support of the Franco-American Center at the University of Maine, where she discovered others who shared her rich heritage. After receiving her BA in Romance Languages in 1984, she continued to perform, quickly gaining recognition as a new Franco-American voice through early performances at festivals and at schools and parish soirées. In 1999 she received the National Culture through the Arts Award from the New York State Association of Foreign Language Teachers, and was inducted into the French-Canadian Hall of Fame Class of 2007 for the American-French Genealogical Society. She has presented her music at hundreds of venues throughout the world as varied as Constitution Hall in Washington, D.C.; to the Congrès Mondial du Conseil International d'Etudes Francophones in Martinique, to the Festival été indien in St-Etienne, France. Her numerous international television appearances include "Bonjour!" on which she made over 500 tapings from March 1987 to April 1998 of what became the most widely viewed French-language television show in the United States. Josée made her Branford Folk debut in 2014, appearing with master fiddler Donna Hébert in a memorable concert. In folk music circles, she is well recognized as a co-founder in 1993 of the folk group Chanterelle with Hébert and singer/guitarist Liza Constable. They were often joined by bass and Cajun accordion player Alan Bradbury. The group released the albums French in America and Soirée Chez Nous. Josée has 12 solo recordings to her credit and her music is included in "La Bolduc", a documentary made for Canada's History Channel; Microsoft's AutoMap Trip Planner software; and the Smithsonian Folkways CD, Mademoiselle voulez-vous danser: Franco-American music from the New England Borderlands. Called Canada's finest singer-songwriter by American critic Dave Marsh, one of the most respected and lauded music journalists and historians of the last 50 years, James Keelaghan is an artist who has proven to be a man for all seasons. Fusing his insatiable appetite for finding the next unique storyline, James forges his pieces with brilliantly defined craftsmanship and a monogrammed artistic vision, making him one of the most distinctive and readily identifiable voices of not only the Canadian folk music scene, but as a member of the international singer-songwriter community. As the calendar pages have turned, for almost a quarter of a century now, this poet laureate of the folk and roots music world has gone about his work with a combination of passion, intent and intensity, and curiosity. Armed with a songbook that has enlightened and enthralled, and been embraced, by audiences around the world, James's life as an artist is one that is a perpetual journey on so many levels. Most important, it's a journey that has invited fans of literate and layered songwriting to be a part of his artistic expeditions, some that weave their way through marvelously etched stories of a historical nature with underlying universal themes, and others that mine the depths of the soul and the emotional trials of human relations. Still yet others display a deep concern about social problems and justice in society. Born in Calgary, Alberta, James now resides in Perth in Eastern Ontario. In addition to his life as a performing artist, since 2011 he has served as artistic director of the Summerfolk Music and Crafts Festival in Owen Sound, Ontario. His masterful storytelling, over the course of nine recordings, has been part of the bedrock of his success, earning James his share of nominations and awards, and acclaim from Australia to Scandinavia. For James staying at the top of his game comes down to a very clear rule: "Never stop accumulating." "I want my audiences to know that I am open enough to try new things and push their bounds." Simply put, he is an artist who continues to set the bar at a lofty height. Joel Mabus is a maverick in the folk music world. He defies any easy pigeonhole. By turns, he picks a mountain banjo to accompany an ancient ballad, sings a witty song about modern life while plucking on a ukulele, plays a sweet Irish melody on guitar, swings a hot jazz number, and then reaches deep for a soulful expression of values in a troubled world. He tops it all with a fiddle tune or an old Carter family song – all skillfully blended into a seamless flow, accompanied by insightful commentary about the music. Simply put, Joel Mabus is a consummate picker and poet. Joel last graced the Branford stage in 2005 with his impeccable musicianship, warm humor and storytelling and fine songwriting. Now he's back for a return concert after a sudden illness forced cancellation of an earlier visit in the fall of 2017. We couldn't be happier because from coast to coast over the past 40-plus years this Midwesterner has brought audiences to their feet, wanting more. He's the son of a 1930's old time fiddle champ and a banjo-pickin' farm girl. His performing career began in college during the Vietnam Era, where he studied anthropology and literature by day and played coffeehouses by night. One critic writes, "Joel Mabus knows his way around the English language and American culture just as well as he knows his way around a fretboard." His roots may be in American old-time music, yet his music speaks to the times we live in. Born in 1953 in the southern Illinois town of Belleville, Joel has recorded 27 albums of original and traditional music since his recording career began in 1978 on a small, start-up bluegrass label. His latest effort is "Time & Truth", released in January, which features 10 tracks of mostly original music and includes a musical setting of Robert Frost's fabled poem, "Stopping By Woods On A Snowy Evening". "Performing Songwriter" magazine describes Joel this way: "His sharp writing and soft singing have an amused and gently knowing quality that suggests Garrison Keillor or Jean Shepherd. In fact, Mabus might've simply become a storyteller, had he not wielded such a rock-solid guitar pick, versatile among several traditional genres." In a bit of innovative programming (if we do say so), two harmony ensembles will be sharing our stage on this night: two quartets from the Connecticut Yankee Chorus, an award-winning a cappella barbershop group, and Village Voices, a New York-based female ensemble that will present Bulgarian village harmonies from the women's tradition of that region. For those looking for a night of heavenly harmonies that will confirm that spring has sprung, this is it. The Connecticut Yankee Chorus male quartets are members of the Society for the Preservation and Encouragement of Barbershop Quartet Singing in America (SPEBSQSA), a group that encourages the growth of the barbershop genre of singing which employs four-part a cappella harmony. Such singing consists of a lead, the vocal part which generally carries the tune/melody; a bass, the part which provides the bass line to the melody; a tenor, the part which harmonizes above the lead; and a baritone, the part that completes the chord with the note not being sung by the lead, bass, or tenor singers. The baritone can sing either above or below the lead singer. Barbershop singing originated in the late 1800s and early 1900s of America, a hybrid of both black and white expressive cultural forms at the time. Popularity of the style faded in the 1920s but was revived in the mid-20th century with help by the SPEBSQSA, founded in 1938. Likewise, the extraordinary music of Bulgaria is renowned for its remarkable vocal techniques, intricate ornamentation, uneven rhythms and, of course, exceptional harmonies. Learned during a lifetime of field research and study with master folk performers of traditional Bulgarian song, the women of Village Voices present a magnificent side of this vocal repertoire that is unfortunately seldom heard. These dedicated artists sing the complex two-voiced songs of the Pirin, Shope, and Velingrad regions of Bulgaria that feature dissonant drone harmonies juxtaposed against exquisitely beautiful and lushly embellished melodies, as they were sung for centuries by village women. Though somewhat similar in structure, the diaphonic songs of these three regions are stylistically different, which Village Voices conveys with impressive authenticity, skill, and heart. These songs were sung as women worked in the fields, gathered in the evenings to spin, embroider, and weave, and marked rites of passage and calendar folk rituals, and by women and men who sat around a community table to pass the long winter nights. Singers used this uniquely beautiful artistic form to express their hopes and dreams as well as their fears and sorrows, and songs reference exceptional historical events, heartfelt expressions of both true and unrequited love, and fantastical and supernatural creatures who controlled the lives of young girls, as well as snapshots of daily life in the village.